Russell Scott Backpackers, Leeds, is a unit of R3 and Son Ltd. We offer our guests safe, secure, clean, spacious modern & budget accommodation, ' Modern' & 'Budget' by which we don't mean over crowding the place or reducing the facilities we offer. 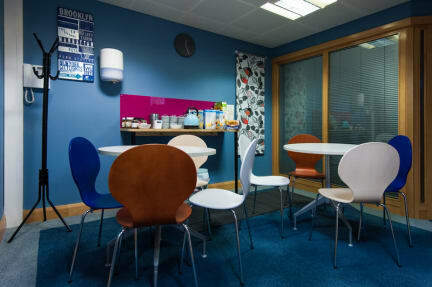 Besides being the first backpackers hostel in Leeds, West Yorkshire, We pride our self in providing the most comfortable stay to our guests and we do not believe in making extra from you, your basic needs are all taken care of - WiFi access, bed linen, breakfast all inclusive in the room/bed rate. Knowing what it is like to be a backpacker/traveller and knowing little needs go a long way, we decided to provide value for money accommodation with no compromise whatsoever on the quality or most of the perks that you would enjoy in a star hotel for one third of the price. Our city centre accommodation is fully air conditioned in summer and fully auto heated in winter. 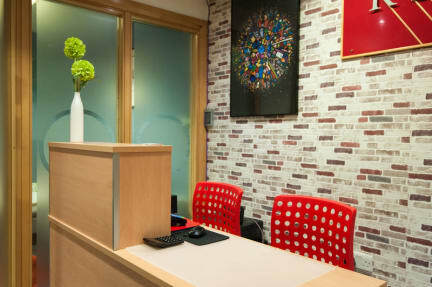 Russell Scott Backpackers & Annexe is located in the heart of Leeds City centre which means you walk 5 minutes to the train station or 5 minutes to the main high street. University of Leeds is 10 minutes by walk with all local amenities situated around us you pay less for more. Lost keys £50.00 will be charged for each. Keys not returned at the time of check in will attract a daily room charge till we receive the keys. Any damage caused to the hostel property or fittings will incur the full price of any material and labour plus VAT at 20% to make good / replace the damage. We reserve the right to refuse entry to guest who are drunk and disorderly without refund. Any abusive or disruptive toward staff and fellow guests will not be tolerated and we would ask you to leave without a refund if need be. We expect you to make sure all facilities used by you in the hostel left clean and tidy for other guests to use. If in case any appliances or facilities in the hostel is not working kindly get in touch with the reception immediately. Very dirty. Small rooms. 1 person working. Just 3 houses. Power plugs only on the ground. No locks on door.